This voguish scarf is the perfect accessory to enhance your day-to-day ensembles and to seamlessly achieve an ultra-chic look. The original print of this richly coloured scarf adds a classy edge and it brightens up any look. You can wear it in different ways by tying, circling and knotting to that extra bit of style to your outfits. 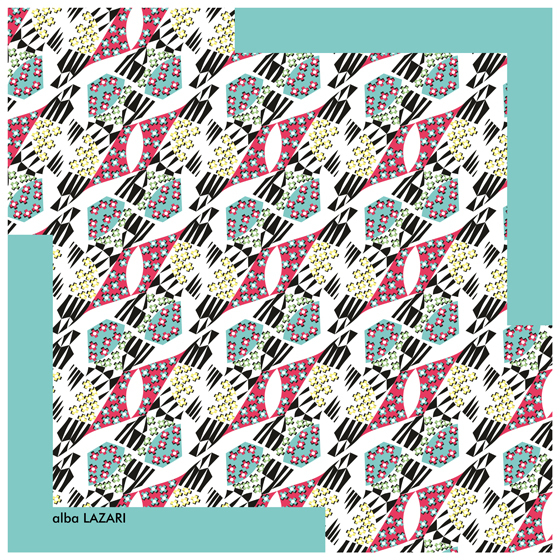 The ACQUAMARINA print is an original and exclusive design by Alba LAZARÍ.